The head of the largest insurance lobbying group urged House Republicans Wednesday to rethink several central features of their new Affordable Care Act repeal bill, including age-based tax credits and proposed changes to Medicaid funding. Marilyn Tavenner, CEO of America's Health Insurance Plans, said in a letter to House leaders that the bill should be revised to offer premium tax credits that factor in both the age and income of a health plan member. She wrote that there should be larger subsidies for individuals with incomes between 100% and 400% of the federal poverty level. “Tax credits related to age as well as income will help ensure that more people stay covered, and are the most efficient and effective way to allocate tax-payer dollars,” she wrote. That idea will face resistance from many Republicans, who would oppose a larger, more expensive premium-subsidy program. Tavenner also wrote that the GOP bill, called the American Health Care Act, "includes a number of positive steps" to stabilize the individual insurance market. Tavenner supported the GOP's decision to continue the Affordable Care Act's premium tax credits in 2018 and 2019, provide $100 billion in funding for states to stabilize risk pools, and permanently eliminate the law's health insurance premium tax. In the House bill, tax credits are based on age, unlike the ACA's income-based subsidies. They also do not take into account the geographic location of a health plan member, which is important because healthcare costs are much higher in some states and local markets than in others. Low-income, older Americans who benefited from the ACA's subsidies likely would pay significantly more for premiums and out-of-pocket costs under the GOP's plan, while younger people with higher incomes would pay less, according to the Kaiser Family Foundation. Tavenner said her association is “concerned” that changes in Medicaid's financing structure could “result in unnecessary disruptions in the coverage and care beneficiaries depend on.” She added that insufficient funding could jeopardize the progress made on providing coverage for and access to behavioral health services and opioid addiction treatment. Some of AHIP's members do big business as Medicaid managed-care contractors. The GOP's American Health Care Act would end enhanced federal funding to the states at the end of 2019 for new enrollees in Medicaid expansion programs for low-income adults. That would effectively kill the ACA's Medicaid expansion that extended health coverage to about 11 million people. The bill would also convert Medicaid to a program of capped per-capita federal grants to the states, starting in 2020. Policy experts say restructuring Medicaid in this way would lead to funding cuts for states. Analysts expect the changes would lead to millions of people losing Medicaid coverage, plus lower payment rates to providers and health plans. 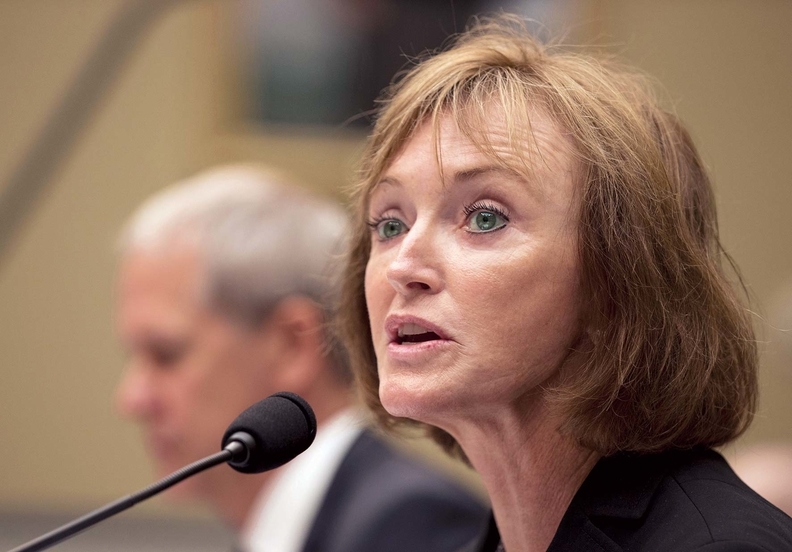 Tavenner cautioned that immediately eliminating the individual mandate penalties, as the House bill would do, would add to the instability of the individual insurance market in the short term. She suggested starting federal funding to the states to launch high-risk pools and other market-stabilization mechanisms in 2017 rather than waiting until 2018. Those funds would be available for states to offer financial help to high-risk individuals, stabilize private insurance premiums, and provide cost-sharing subsidies and access to preventive services. Insurers have urged the Trump administration and congressional Republicans to move rapidly to stabilize the individual market, which has a disproportionate share of older, sicker members who use a lot of medical services and drive up medical claims for insurers. Not enough young, healthy members have signed up to balance the risk pool. Many insurers say they can't commit to selling individual market plans in 2018 or beyond until policymakers move aggressively to stabilize the market. They have urged Congress tp appropriate money to pay them for the ACA's cost-sharing reductions for low-income exchange enrollees, and restore risk payments to insurers that sign up a disproportionate share of sicker members. But the administration and congressional GOP leaders so far have not signaled that they plan to act on those requests.